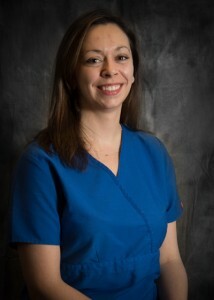 Liza Wysong Rudolph has been working as a veterinary technician since 2000 and began practicing internal medicine in 2006. Currently she is the Education and Compliance Coordinator at Saint Francis Veterinary Center in Woolwich Township, New Jersey and most of her clinical experience is related to the care of internal medicine and emergency/critical care patients. Liza is a Veterinary Technician Specialist (VTS) in Clinical Practice (Canine/Feline) and in Internal Medicine (Small Animal). She is a former President and currently serves on the Board for the Academy of Veterinary Technicians in Clinical Practice (AVTCP) and is an active member of the Academy of Internal Medicine Veterinary Technicians (AIMVT). She enjoys providing education and training to veterinary technicians by traditional lecturing, online continuing education opportunities, and publishing informational articles. Liza is a graduate of the Bachelor’s program in Veterinary Technology at St. Petersburg College and has a special interest in internal medicine, especially regarding patient care, immune mediated diseases, and oncology. She likes to spend her spare time gardening, reading, or watching films. Liza also has Australian Cattle Dogs to keep her busy at home.